On this page you can find all the Bitcoin Exchanges and Trading Platforms which allow margin trading. Make sure to know your skills and your limits exactly, Bitcoin Margin Trading is especially risky and in volatile markets like all crypto currency markets. Make sure you know what you are doing. At the moment Bitmex offers 10% off on all trading fees for the first 6 months, if you sign up through this page. Whaleclub.co offers a 30% bonus for the amount you deposit when you sign up through this link. Bitfinex.com offers you a 10% discount on all fees of your first month. Just click here to take advantage of this. Many beginners make mistakes. That’s a standard part of learning process. But those mistakes can be costly if you get involved in margin trading without understanding the risks it carries. Below we’re going to explain how it works and which risks it carries. Margin trading is simple and appealing to many traders. Buying on margin can be defined as borrowing money from a broker to purchase goods, stocks, currencies, etc. By getting a loan from your brokerage, you can get more stocks than you’d be able to normally. Go long or short with with money you borrow! You’re expecting a rise in the price of a certain altcoin, but you only have 2000 US dollars. If you had more money to invest, you could get higher profits. Margin trading is the easiest solution – after you deposit 2000 dollars, you’re allowed to borrow up to 50 percent of the deposited amount. So now you can have 3000 dollars to invest. Of course, you can borrow less, 10 or 25 percent of the deposit if you like. If the price of the altcoin you bought goes up, you’ll be able to repay the loan and still keep a nice profit for yourself. Sound good, right? Well, it’s not always. The thing many beginners don’t understand or tend to neglect is what happens if your investment goes wrong. Below are a few things users need to think about when starting margin trading. The trading platforms always require traders to maintain a minimum level of equity which is typically set at 30 percent. If your balance falls below this, you’ll be required to deposit additional funds to the account in order to increase equity immediately. If you fail to deposit more money or simply don’t want to, the brokerage will close your positions to increase equity in the account. Trading on margin can be profitable if it’s used for short-term investments. In case that you invest the money and the anticipated jump in value don’t happen, think about cutting your losses and paying the short-term interest. Keeping your margin trading position open for a longer period can result in losses even if your stocks’ price increases. Why? Margin trading comes with significant interest rates, and in some cases, the profits are not enough to cover the costs of long-term loan you took. Margin trading doesn’t magnify the profits only; it magnifies the losses as well. In case that things go wrong, you’re not only going to lose your investment but also find yourself in red as you’ll have to repay the money you borrowed to the broker and pay the interests. This means that if you’re not careful, you could end up in debt. You’ll also have to consider the fact that margin accounts are more sensitive than standard trading accounts to day-to-day market fluctuations. This adds a certain dose of unpredictability to the margin trading. 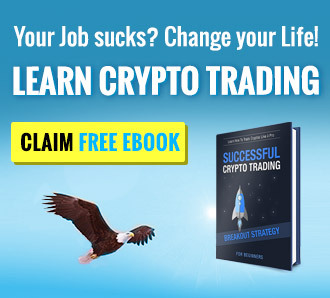 Set tight stop losses for the margin trade in crypto currencies. The aim is to liquidate the position immediately as soon as the price moves against you. Don’t use too much leverage with crypto currencies, because crypto currencies are very volatile and can drop a few percent quickly, even if the market is in an uptrend. Keep a close eye on your margin trades. Due to the high volatility, the market can change constantly, so you should always pay close attention to your margin trades. Don’t get greedy. It is always easy to say that the price can continue to rise but sometimes it is better to take profits and not speculate further. Start with a small credit. Especially at the beginning you can still make a lot of mistakes, so you should first try with a small credit. Wait for the right time. You should always wait for the right time to Margin Trading. That can be for example, if the Bitcoin has broken through a significant limit and thereby rises further. In the past we have often seen that the Bitcoin price has risen significantly again after breaking a round number, so that would be a good time to get in. Margin trading is trading with profit margins. You speculate either on a price rise or on a price loss. Unlike buying Bitcoins, Margin Trading does not invest your own capital. If you speculate that the Bitcoin price will rise in the future, you will buy Bitcoins. For example, you pay 4,000 Euros for a Bitcoin, but you don’t have to pay the amount immediately. A short time later you were right about your assumption and the price went up. Therefore you sell the one Bitcoin again for 4.100 Euro. The broker will pay you the difference, minus the fees, to your account and you can transfer the money to your bank account. Many of the margin traders place their bets on an identification mark and the Bitcoin they buy is automatically sold at this mark. This advantageous technique keeps the risk as low as possible. On the other hand, it can also happen that many traders have set the marker at the same price and a mass sale takes place. This would cause prices to fall sharply. Among the Bitcoin traders, many private traders trade with margin. This is mainly due to the fact that private investors see the digital currency as a good opportunity to make a quick profit. If you decide on margin trading, you should definitely pay attention to special lower and upper limits. When trading, bitcoins are preferably exchanged for US dollars and therefore you should observe the exchange rate of the dollar. Breaking through a prominent mark, such as $4,000, can lead to a rapid downtrend. In addition to the world-famous Bitcoins, you can trade many other crypto currencies over the Internet. How does trading other crypto currencies with leverage work? Due to the great success of Bitcoins, many other digital currencies have emerged. At regular intervals, a new coin is born. There are now more than 1,000 digital currencies worldwide. Many other crypto currencies disappear from the scene just as quickly as they appeared. Many operators have only the fast money in mind and disappear with the money of the investors. Nevertheless, there are a few other coins besides the Bitcoins, which are successful and serious and which are worth trading in any case. This crypto currency ether is probably the most popular competitor of Bitcoin. Basically, Ethereum is not a digital currency at all, but rather a digital platform for the so-called Smart Contracts. This Internet platform possesses its own crypto currency with the name Ether. The digital currency is used for all intelligent contracts on the platform. Ether has only existed since the middle of 2015. The most important goal of the digital platform Ethereum is not the creation of a new crypto currency. Rather, a new decentralized Internet, Web 3.0, is to be created. Nevertheless, the currency ether can be traded on many stock exchanges on the Internet and enjoys great popularity. On a Wallet you can store the currency permanently. Litecoin is one of the oldest digital currencies on the Internet. It was already published in October 2011 and for many traders represents the silver to the digital gold currency Bitcoins. For this reason, both coins have many similarities. Just like the Bitcoin, the Litecoin crypto currency is based on an open source encryption protocol. In contrast to the Bitcoin, the blocks are not generated every 10 minutes, but even every two and a half minutes. Therefore the Litecoin has a total of 4 times as many units. You can trade the second most popular digital currency on many sites on the Internet. Litecoins can be traded just like Bitcoins and stored in a wallet. If you happen to already have an account with the well-known provider Coinbase, you can store Ethereum and Litecoins as well as Bitcoins on the wallet. The Dogecoin was originally only meant to be a parody of the Bitcoin and has evolved over time into a very fast growing currency. The digital currency owes its name to the Internet Internet Meme Doge (a modified word from the English word dog). In detail it is a dog of the breed Shiba Inu. The Dogecoin was published in 2013 on December 6th. Since that time, both the popularity and the price of this coin have grown rapidly. On the platform reddit a picture of the Asian Spitzrasse was published and thereby the new currency got its face. Like the Bitcoin and Litecoin, the Dogecoin is also an open source currency. Dogecoins, like most cryptic currencies, are created by digging. If you want to buy or sell Dogecoins, you need a wallet. The Dogecoin community is often praised in the press for donating so much money to various charities. In its early days, this digital currency was called Darkcoin. The naming is related to the block protocol. At the heart of this protocol is a special mechanism that anonymizes all transactions. This has the name Darksend. The crypto currency Dash is characterized by anonymous transactions within seconds. Assuming that Bitcoins are gold and Litecoins are silver, this currency is digital cash. For this reason, Dash is not a direct competitor to the two known currencies, but rather a kind of complement. The mechanism Darksend is based on the CoinJoin and this is used again with the Bitcoin. But the service does not belong directly to the Bitcoin protocol, but belongs to another middleman and this brings with it a kind of centralisation. Darksend goes another way and is directly anchored in the Dash protocol. Anonymization is achieved without a middleman and each transaction is sent through multiple nodes. This significantly increases privacy. The idea behind the open source protocol comes from Ryan Fugger and has been consistently further developed by Ripple Labs. In its final stage, the open source protocol will be both a foreign exchange market and a distributed peer-to-peer payment method. Ripple’s network supports all known currencies. Ripple is based on a public and shared database which contains a register with all account balances. In addition, Ripple contains its own digital currency called XRP. This can be used for value retention or trading. What should you consider as a beginner? Before you start leveraged Bitcoin Trading, you should read your way through the topic and familiarize yourself with the most important terms. As a beginner you will surely make one or two mistakes and probably also lose money. Most traders make a lot of mistakes at the beginning, but on the other hand they also collect important experiences. Unfortunately many beginners can be discouraged quite fast. After the first failures they stop trading. So that this does not happen to you you should heed the following tips. In general, the following principle applies in the financial world: You should only trade in financial instruments that you fully understand. For this reason, you should not start training immediately and I should first inform you extensively about all important topics. You should definitely know what Bitcoin are and how the digital currency works in detail. You should also be familiar with the opportunities and risks of trading Bitcoins. The same is true for any Altcoin you want to trade. Losses can usually not be avoided at the beginning, but you can limit their amount. First of all gain experience in trading over a longer period of time and only bet smaller amounts. With time you will get a feeling for the different market situations and you will learn the most important psychological aspects. You will certainly lose money once in a while, don’t let these setbacks discourage you and learn from your beginner mistakes. Among the numerous old coins, some coins such as Ethereum, Dash, Doge- and Litecoin have proven themselves several times and are interesting alternatives for traders. In general, it is advantageous to diversify your existing portfolio and increase your returns. It is an unwritten law among professional traders that not all the capital is invested in a product. Therefore, it is also an advantage if you combine Bitcoin trading with the trading of other financial instruments. Within a few minutes, the price of a currency can fall or rise by several percentage points. For this reason, when trading Bitcoins or other digital currencies, it is essential to hedge against possible risks. With many brokers, such as eToro, you have various risk management tools at your disposal. Among other things, you can set limits or place stop orders. By individually limiting your position size to a fixed percentage of your currently available capital, you can protect your portfolio from a loss in value. Withdraw your coins when you don´t trade! One of the most important tips. Withdraw your coins when you don´t actively trade with them. The risk that an exchange gets hacked is always there – and prominent examples like Mt. Gox, Bitfinex, Cryptopia and many many others showed that there is always a hacker who is smarter than the security team – and in that case, you might lose all your coins. The only way to protect yourself is by withdrawing your coins to your own wallet. Either a software wallet on your computer – or (better) on your own hardware wallet like the Trezor or Ledger devices. Never use your exchange as a wallet. Never. Investing on margin is only profitable if your investment allows you to pay back the loan with interest. When you know what you do and how to secure your position, it can be very profitable. If you don´t know what you do, get greedy, have too big position sizes or don´t set your stop-losses correctly – you might get liquidated and lose all your money in a very short time. So, be aware that with all the benefits margin trading offers to you – there are serious downsides. Don´t be the guy who lost all their bitcoin before they go to $100k or more. If you’re considering margin trading, consider starting with baby steps and learning by experience. Margin trading can be a valuable tool if you’re able to cut the risks to the absolute minimum.